Thames it is a cosplayer who has long been a cosplayer. And have the opportunity to be invited as Guest Cosplayer, as well as being a cosplay contest director, both in and out of the country. 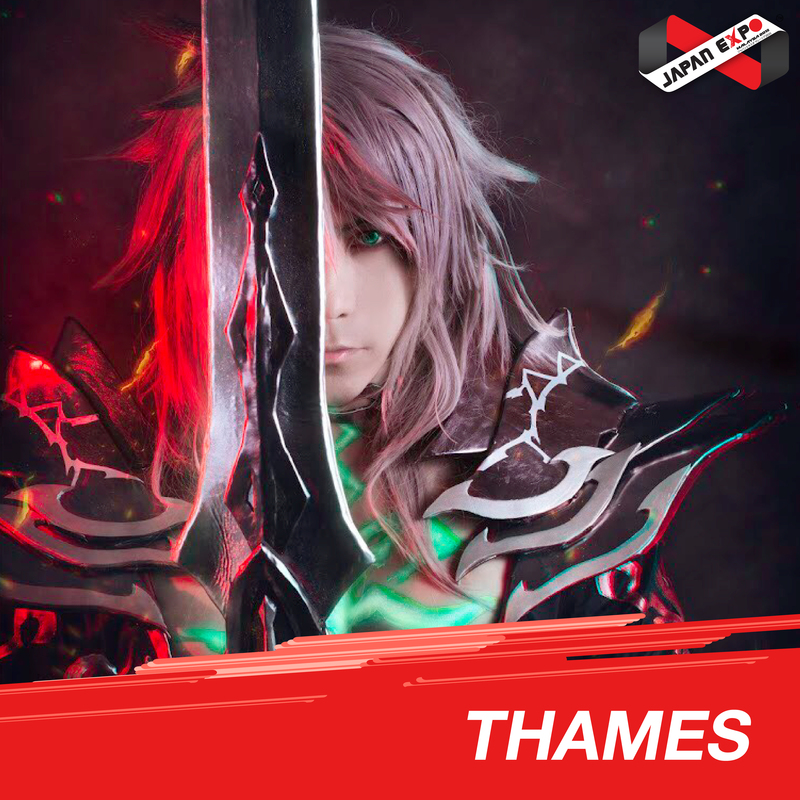 And recently, in late 2017, Thames was invited as Guest Cosplayer of C3 AFA Singapore 2017, which is a great event in Asia. We often see Thai cosplayers being invited as AFA guest stars. It’s a testament to Thames’ cosplay. In another prominent role as the Thames MaleRose, the bassist of the Thai-style visual rock band MaleRose who has gone out on a lot of skill in various stages. The latest in Japan Festa in Bangkok 2018 at Japan Expo Thailand 2018.